It’s March! Time for the start of Spring, March Madness and longer days! It’s also time to grab some great deals at Kroger this week! During the Super Digital Coupon Event, you can use each Super Coupon up to five times in one transaction! I was able to grab these awesome deals, and the final cost for everything I purchased during this trip was $5.94 after coupons and cash rebates! There is ONE great FREEBIE this week, I scored a Brut Deodorant for absolutely FREE! 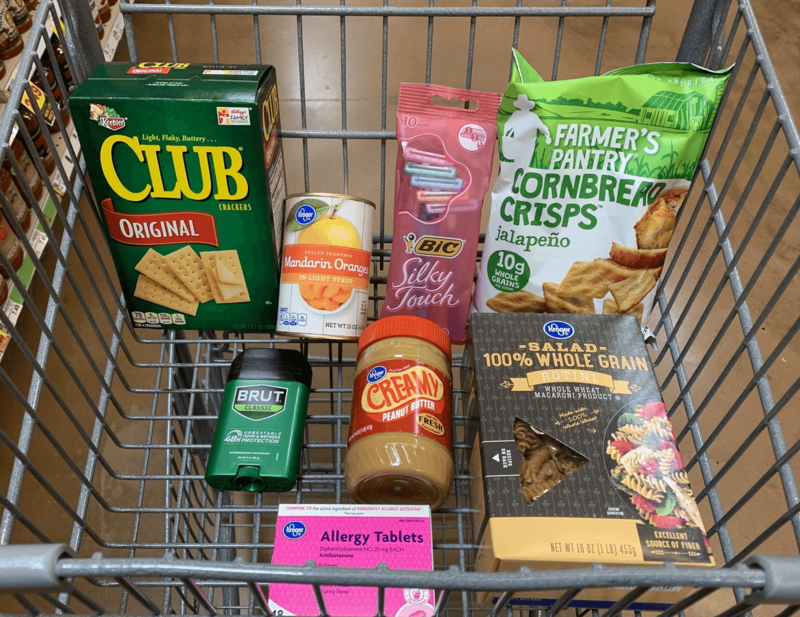 Some of the other great deals you can grab this week include Keebler Townhouse or Club Crackers for $0.99! Even better, you can score up to five of these at this price when you use your Super Digital Coupon! Need some great recipes to get you in the Spring mood? Try this Green Mint Chocolate Chip Cookies or this Crockpot Corned Beef and Cabbage for St. Patrick’s Day! Yummy! Speed Stick & Softsoap Hand Soap Just $0.50 at Acme!